Running in St. John's Newfoundland. 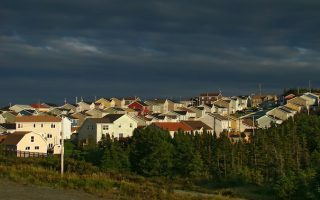 Best routes and places to run in St. John's. 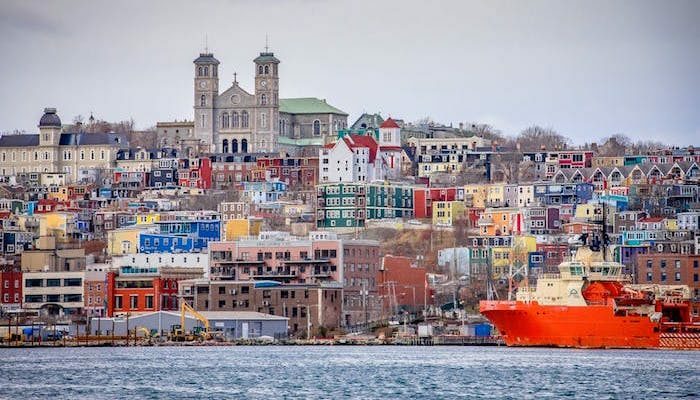 St. John’s is a historic seaside city and one of the oldest settlements in North America. Known for its spectacular coastal setting (icebergs occasionally present! 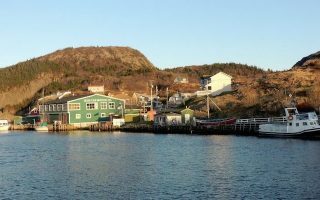 ), hills, and colorful homes, the capital of Newfoundland and Labrador is a popular tourist destination…in summer. Running in St. John’s can be gorgeous and a great way to explore the city. But it can also be challenge, owing to the rugged terrain, wind, and long winters. We’ve put together a good variety of places to run in St. John’s. 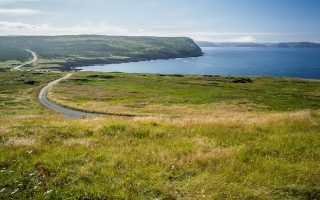 The most spectacular coastal running is on Southside Rd., Signal Hill, and the East Coast Trail, where you can run to the easternmost point in North America. Explore the downtown area with our Downtown Tour or the Downtown Residential route. For a more pastoral run, enjoy the pastoral 4k loop around Bowring Park. 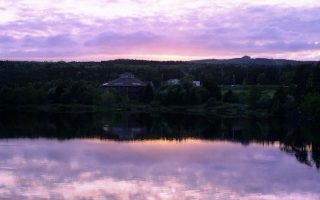 There are also some great paths along lakefronts and ponds, including Quidi Vidi Lake, Long Pond, and Octagon/Neil’s Pond. For a longer route, the Paradise Trail between St. John’s and Paradise, is part of the extensive Newfoundland Trailway. The weather will influence your run experience in St. John’s — see our ‘weather and climate’ page. The city itself is compact and walkable, with a decent bus system. Outside of St. John’s, a car is needed. Explore the main streets of downtown St. John’s with this 3.9 km (2.3 mile) route on George Street, Harbour Drive, Water Street, and Duckworth Street. 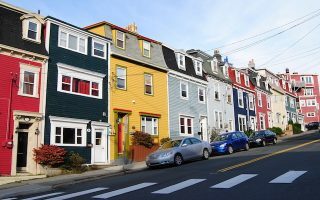 This 7.6 km (4.7 mile) route runs up and down the hilly and colorful residential streets of downtown St. John’s. A good opportunity for a long, steady run downtown, with few turns. 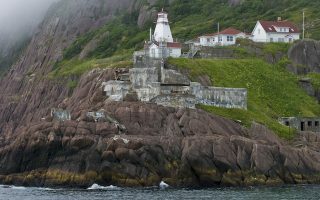 The most spectacular sections are north of the Railway Coastal Museum, for 3 km toward Cahill Point and Fort Amherst, with great water views. Good option in winter. 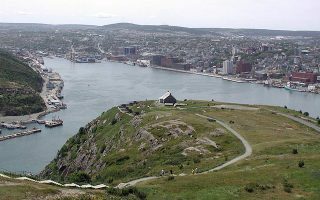 Some of the best views in St. John’s, passing through the beautiful residential neighborhood near Memorial University and out to the Vista Park, near the Signal Hill Historic Site. Another ~2 km of running possible at Signal Hill. A popular and scenic flat 3.9 km (2.4 mile) lakeside loop with lots of options for extensions. A spectacularly scenic coastal route. This section of the East Coast Trail footpath runs from the village of Blackhead out to the Cape Spear Lighthouse, for nearly 9 km out and back. A fairly challenging, hilly trail. A pleasant 3k loop around Long Pond on a gravel path, just north of Memorial University. 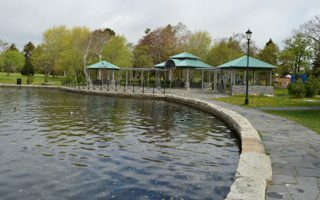 For a longer run, combine with loops around Kents Pond and Kennys Pond Park, connected via walking paths. 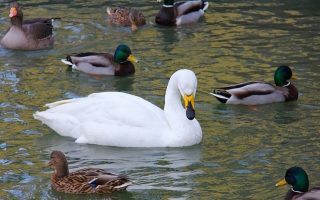 This park route loops around beautiful Bowring Park, through gardens and ponds, between two rivers. In the West End of St. John's. 4 km loop with options to extend on the Paradise Trail. A figure eight on the gravel trails around two ponds in Paradise. 7.4 km (4.6 miles) round trip. Weather is a defining element in St. John’s. It can be harsh, cold, and windy although temperatures are somewhat moderated by the ocean influence. From June-September, the most popular visitor season, average high temperatures are in the 60s (16-20C), with cool nights. It can be sunny, but also plenty of overcast A layer often needed! Autumn is short and pretty. Winters are cold, with the wind and dampness adding to the chill. Average highs in January are near freezing, with lows around 20F (-6C). Precipitation is frequent – some 60 inches (1500 mm) of annual rainfall and 130 inches (323 cm) of snow. Bring layers and yak-trax. 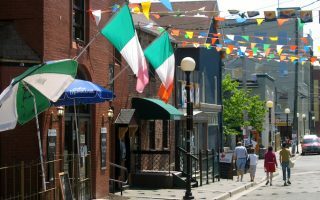 St. John’s is compact and there’s a good mix of hotels, from more modern spots to inns and B&Bs. For access to the best running, try to stay within a couple of km of central downtown, Signal Hill, or the East Coast Trail. The major independent running store in St. John’s is a Running Room on Rowan Street. Group Runs: From the Running Room store, Wed.: 6:00 p.m.
Fri.: 5:30 p.m., Sun. : 8:30 a.m. Check out NLRunning for upcoming race events.